The City of Monroe is solely responsible for the maintenance of its 83-mile street system, which includes all roadways not part of the State highway system (I-75, US-24, M-125, M-50) and a few boundary roadways (Stewart Road, Cole Road, and LaPlaisance Road south of Jones Avenue). Each year, the City receives a formula share of the State of Michigan's Transportation Funds through Public Act 51 of 1951. These funds are largely exhausted each year for routine maintenance tasks including winter operations, cold patching, crack sealing, signage, traffic signals, etc. Capital improvements projects are normally funded through any remaining state funding, with significant additional funding each year provided by the City's General Fund. The City also receives an annual allotment of upwards of $200,000 in Federal funds that can be used only on high-volume major streets. Each year, the Director of Engineering and Public Services and others review the physical condition of each block of street within the City's jurisdiction, and prepare an annual condition report, which can be found HERE. This methodology has been accepted by the State of Michigan as a qualified Asset Management process, and the findings form the initial basis for each year's capital improvements program submissions to the City Council, taking into account a variety of factors including traffic volume and system importance, eligibility for Federal funds, and coordination with other needed utility projects. Preventative maintenance projects are also undertaken each year, and the City annually contracts for asphalt crack sealing and spray patching (a more permanent method of cold patching), and also employs such treatments as slurry sealing and chip sealing when appropriate. 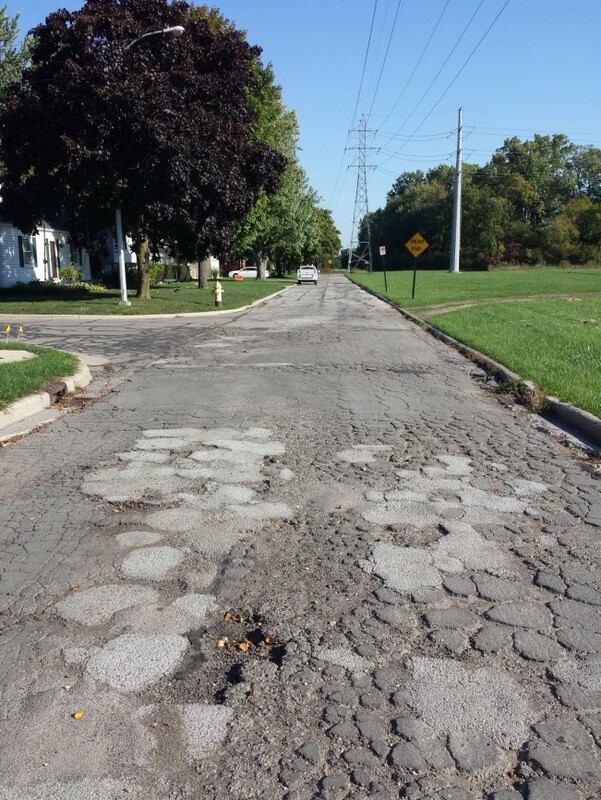 Despite the City's best efforts, some roadways will always require immediate attention, such as cold patching, particularly during the spring thaw and during rainy periods. To report an issue requiring attention, please click the link below.